What is animal gelatin ? Gelatin is a protein of animal origin, obtained by the partial hydrolysis of collagen contained in bones and skin of animals. It consists of 84 to 90% protein and approximately 1% of mineral salts, the rest being water. On an industrial scale, gelatin is made from by-products of the leather and meat industry, mainly bones and remains of pigs and cattle. The seals and the sharks are also excellent sources of collagen. The use of skins and bones of pigs presents a problem for law-abiding Muslims in the rules imposed by Islamic law. 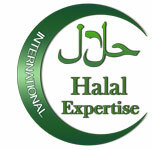 It is also important to note that even when the raw materials come from permitted animals (notably cattle), Muslims must ensure that these animals have been slaughtered according to Islamic rules, otherwise many Muslims do not consider Halal products (for example gelatin) originating from these animals.